Creating is such a wonderful outlet for me. It allows me to focus on the task at hand, and use the other side of my brain. 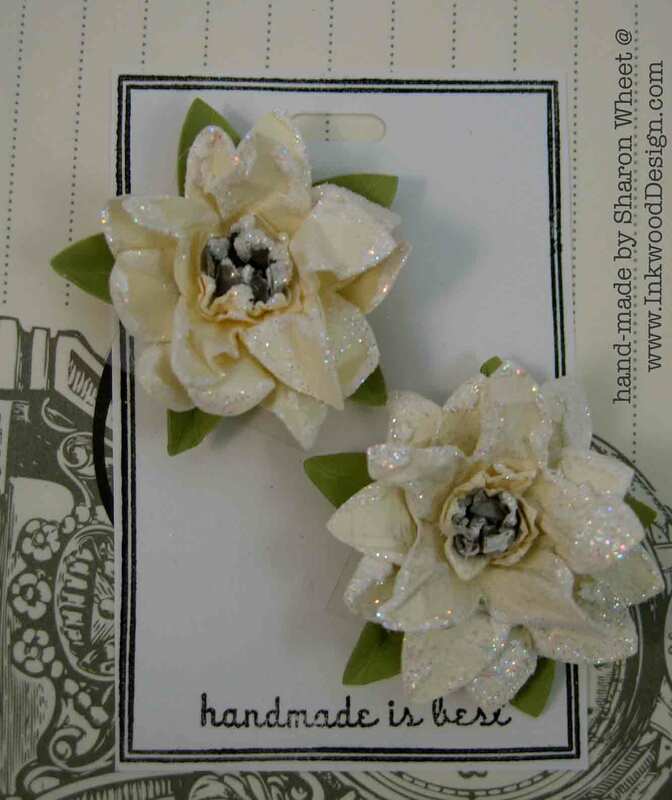 If you stopped by yesterday, you saw some beautiful hand-made paper blossoms that I created. The encouragement came from two wonderfully supportive girl friends, who enjoy paper crafting as much as I do. Well, after I had made those 'Dream' Blossoms, in a variety of colors, I wanted to create a different looking paper blossom. 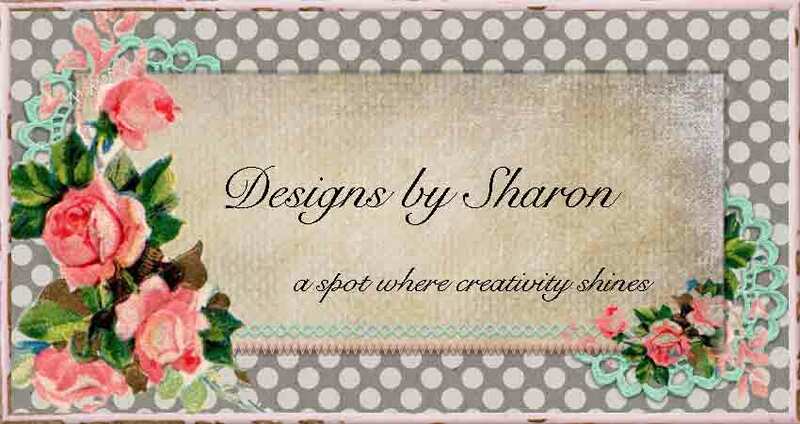 So, back into my craft room, I went. 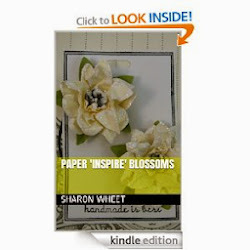 I created these paper 'Inspire' blossoms. And, I wrote a tutorial, that Amazon Kindle has published. The e-book is published in a variety of languages and can be purchased and downloaded here. I also made a pair of these 'Inspire' blossoms to sell in my Etsy shop, here. Thank you for looking. I hope you have found some inspiration here, and create something beautiful!